San Francisco’s New Dispatch Trainees with their instructor Patrick (far left). In the past week, we honored three dispatchers with a combined 61 years of experience. We also honored 4 veteran dispatch supervisors with the Toni Hardley Award- named after a legendary woman who served as a mentor to many of San Francisco’s 9-1-1 professionals. Years of training and experience helped each of them but where does it all start? 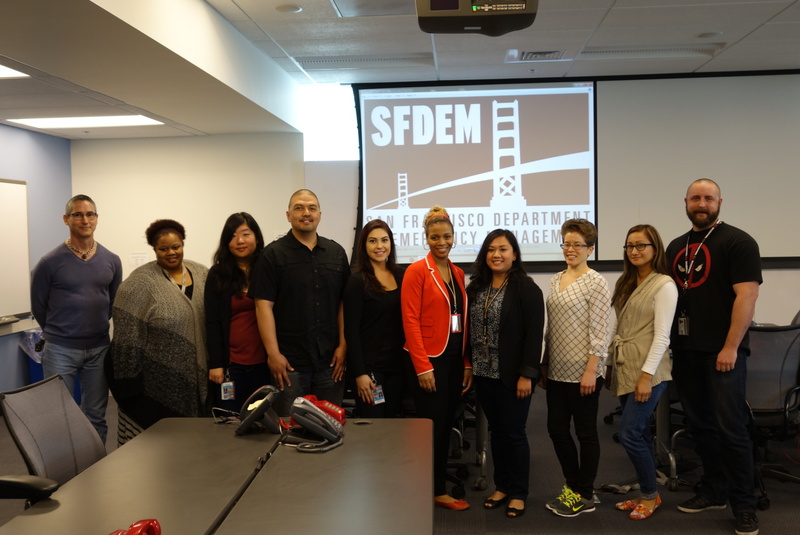 Today we introduce the new school: 10 dispatch trainees in the early stages of their year long journey to be San Francisco Public Safety Dispatchers. The diverse class includes a native San Franciscan who finds challenge in referring to her neighborhood as police districts (D3, D4, ect.) rather than her beloved Mission. The class even includes a candidate that has previous dispatch experience. The trainees are in week seven of their 12 week POST (Peace Officers and Standards Training) Academy and their lives have been filled with lectures, case studies, and tests. They’ve also had the opportunity to sit-along with veteran dispatchers as they answered emergency calls from the public or dispatched first responders to an incident. The candidates learn valuable lessons from the calm manner in which their experienced mentors extract information from the public. Their eyes try to keep up as 9-1-1 professionals move from monitor to monitor (as many as five) and quickly multi-task to relay information to police officers, fire fighters, or paramedics. The new school is learning the well-established tools of the trade and is taking on new challenges as 9-1-1 evolves. Later in the year, San Francisco will transition to a new computer aided dispatch or CAD system. In addition to a new appearance and commands, the new CAD can dispatch specialized Fire Department units more efficiently. This new generation of dispatchers will likely tackle the challenge of implementing Next Generation 9-1-1 which includes allowing the 911 system to accept and handle advanced information from the public, including video, photos, and text messages. Being a public safety dispatcher is a demanding job that is critical to San Francisco’s public safety. After completion of the POST Academy, the dispatch trainees will receive intense on-the-job training under the supervision of training dispatcher. This includes answering emergency calls from the public and the responsibility of dispatching first responders on the radio. Does the new school have what it takes to join the ranks of our 9-1-1 professionals? Time will tell- but if they have the skills, judgment, and determination to keep the public and first responders safe then there’s a headset waiting for them. Toni Hardley Award Winners (L to R): Susan, Dora, Carol, and Maria. San Francisco celebrates National Public Safety Telecommunicators Week to showcase the important lifesaving performed by our 9-1-1 professionals. Dispatchers act as the communications hub for emergency services, and must quickly assess situations and send appropriate help. San Francisco’s 9-1-1 Dispatchers manage more than 1.2 million emergency and non-emergency calls annually. For more information on 9-1-1 in San Francisco visit www.sfdem.org/911. People call 9-1-1 during emergencies. For an adult the situation is often stressful and chaotic. Imagine how scary the situation is when you are a child and call 9-1-1 for your parent. Catrina called 9-1-1 because her mom was choking, coughing up blood, and was having a hard time breathing and talking. Catrina was clearly frightened but she maintained her poise and that is what stood out to Lisa. “Catrina said ‘I’m only nine-and-a-half’ but she did such a great job — better than most adults,” said Lisa. Catrina clearly articulated her location and what was going on. She was straightforward when asked questions and listened to instructions. Paramedics arrived within minutes of the 9-1-1 call, and from there Catrina and Lisa parted ways. Months later Lisa met Catrina for the first time when they both received the 9-1-1 Heroes Medal of Honor at San Francisco City Hall. It was a proud moment for all in attendance… especially Catrina’s mother. Kimberley Tuyay might have the magic touch when it comes to answering calls from young people. For the second year in a row she’s being recognized for helping a young person through a difficult situation. “Kids are the best 9-1-1 callers because they are direct and honest,” according to Kim. This makes a huge difference because good information helps a dispatcher send the right help much faster. Dante Parker called 9-1-1 from a cell phone when his mom was lying on the floor with severe abdominal pains. “She’s really swelling up… I really want my mom to get help,” said a frightened Dante. No matter how scared he was Dante continued to answer Kim’s questions and follow her instructions. Kim stayed on the phone with Dante until help arrived. Kim, Dante, and his mother were reunited at San Francisco City Hall months after the 9-1-1 call. Together, Kim and Dante, received the 9-1-1 Local Heroes Medal of Honor. The 9-1-1 Local Heroes Medal of Honor is awarded to young people who call 9-1-1 to help save a life or property, or to report a crime. The award is also presented to the 9-1-1 dispatcher who processed the call, and dispatched the appropriate emergency response help. The 9-1-1 Local Heroes Medal of Honor was created in 1999 and is now an international awards program. Dante Parker- a 9-1-1 Hero and media superstar. Catrina Carjito celebrates her achievement with her classmates. Dante Parker celebrates his achievement with his family. The people and the technology… These are two of the reasons that Matthew likes coming to work every day. On July 6, 2013 Public Safety Dispatcher Matthew Roybal was standing watch on the radio working with fire fighters and paramedics to respond to emergencies around the city. On the radio the pace is quick and professional. It was 11:28 am and things were about to pick up. A Boeing 747 had crashed on the runway- slides were deployed and passengers were coming out. At this point, Matthew and his fellow dispatchers didn’t have a full picture of what was going on. But he knew he had to get first responder units moving fast. As the dispatcher on the Command radio channel it was Matthew’s responsibility to coordinate and account for all the units that were coming from San Francisco to the airport. As more information came in about the crash, more units from the city were sent to SFO. Matthew was admittedly was nervous and tense but his training and experience helped prepare him. He also had great support system as fellow dispatchers helped out so he could focus on the radio. Everything worked like it was supposed to and like with any emergency it was a team effort. After hours on the radio keeping track of his fellow first responders, Matthew was finally relieved after the last unit came back to San Francisco. 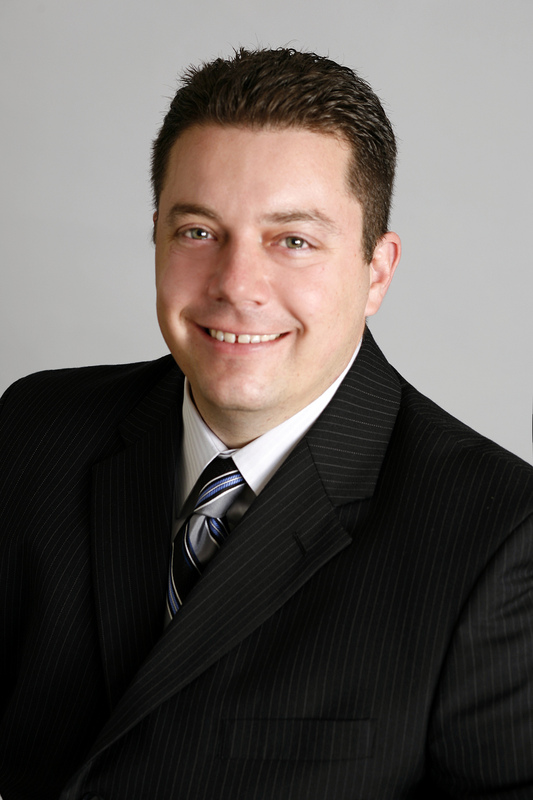 Public Safety Dispatcher Matthew Roybal was calm and professional during the tragic Asiana plane crash. His actions were not only a credit to himself but also his fellow dispatchers. For these reasons, Matthew was selected by his peers as San Francisco’s Dispatcher of the Year. Public Safety Dispatcher receives a commendation from Supervisor London Breed (L). His wife, Melissa (R), and fellow first responders look on. Dispatcher Roybal was on the Command Channel communicating with Assistant Chief Tom Siragusa who was on scene during the Asiana Flight 214 crash. Matthew and his wife Melissa are interviewed by KPIX – Channel 5. Matthew made sure to thank his wife, Melissa, for all of her support. Fire Chief Joanne Hayes-White thanked Matthew and his fellow dispatchers for their important work. Matthew celebrates his achievement with his family. Fellow dispatchers present Matthew with a plaque. Dispatcher Roybal and Fire Lt. Robert Lopez sat side-by-side in the Dispatch Operations Center during the Asiana Flight 214 crash.